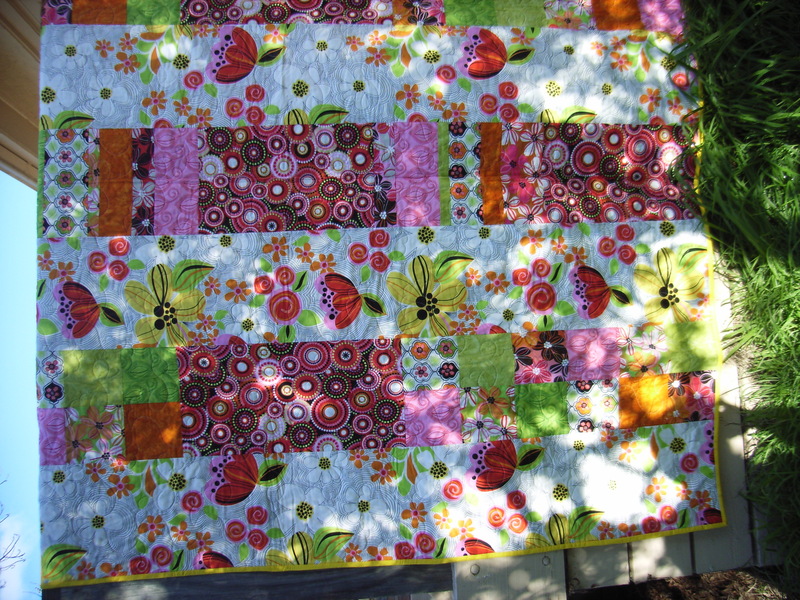 It’s taken a while, but as at June of 2012, I’ve started to complete quilts! 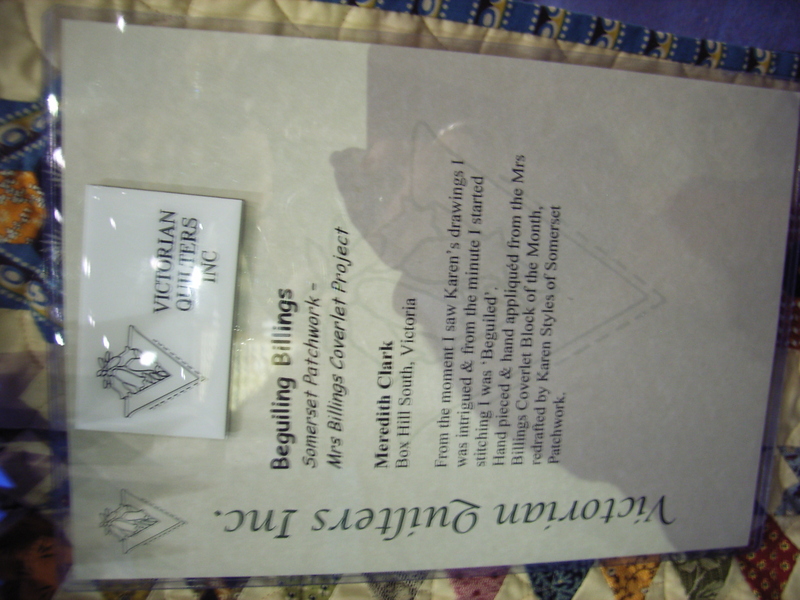 “Beguiling Billings” – My first ever prize winning quilt! 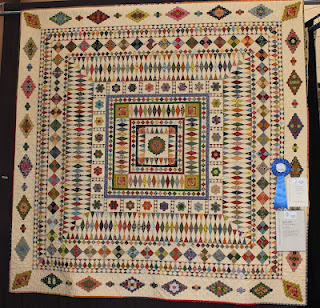 From a Block of the Month re-drafted from an original quilt (circa 1790) by Karen at Somerset Patchwork. 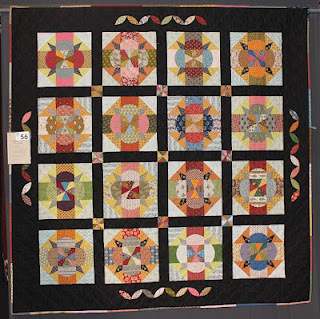 “Cambourne” – hand pieced and machine quilted (by Karen at Seams Like Yesterday). From a template set designed by me called Black Forest. My own design. 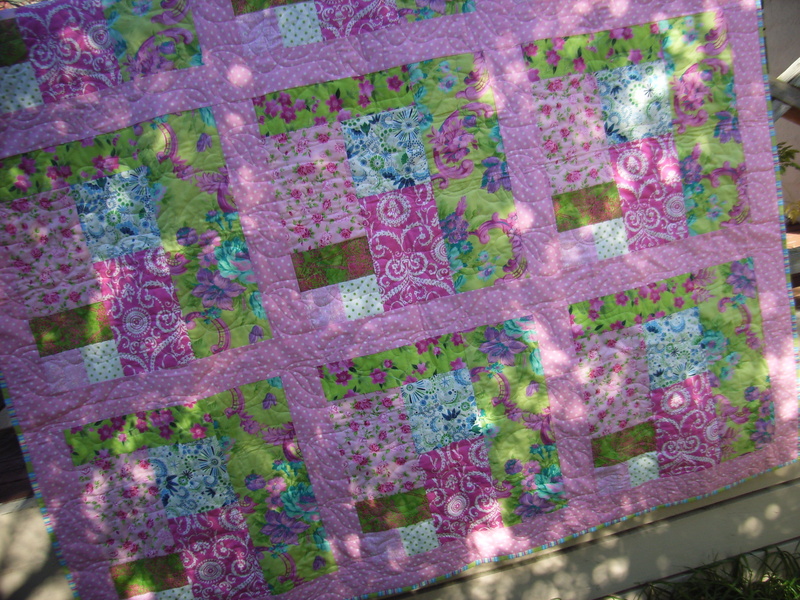 “Nest” – make from a jelly roll of the same name by Tula Pink. Started at a Sorrento weekend in 2011 and finished in July 2012. 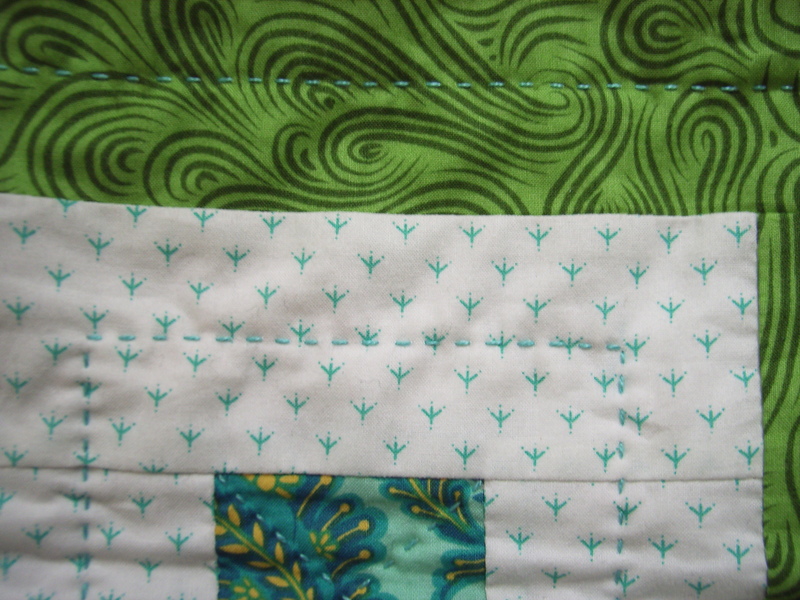 Machine pieced and hand quilted in perle 8 thread. 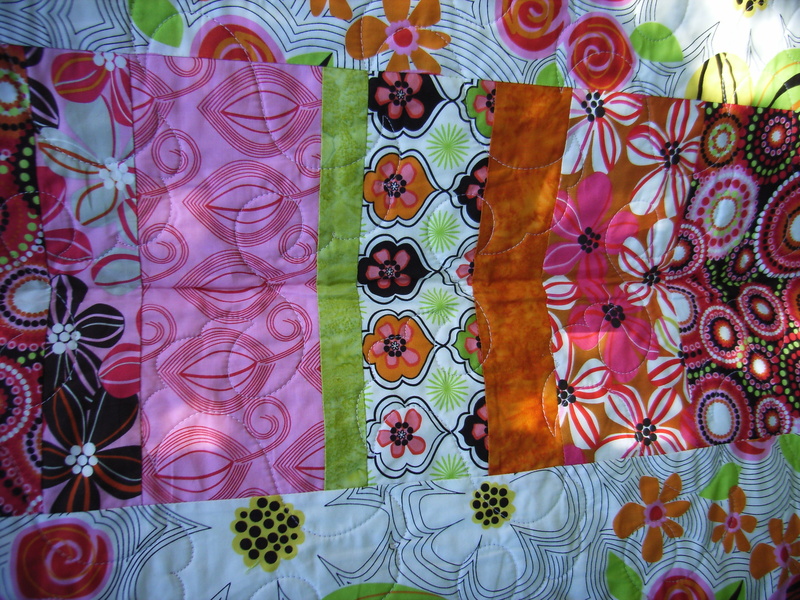 Flower Power is a quilt I designed for a student. When the first range of French General came out, one of my students loved it, but wondered what to do with it. Between leaving class and arriving at a friend’s house, I had the plan nutted out. 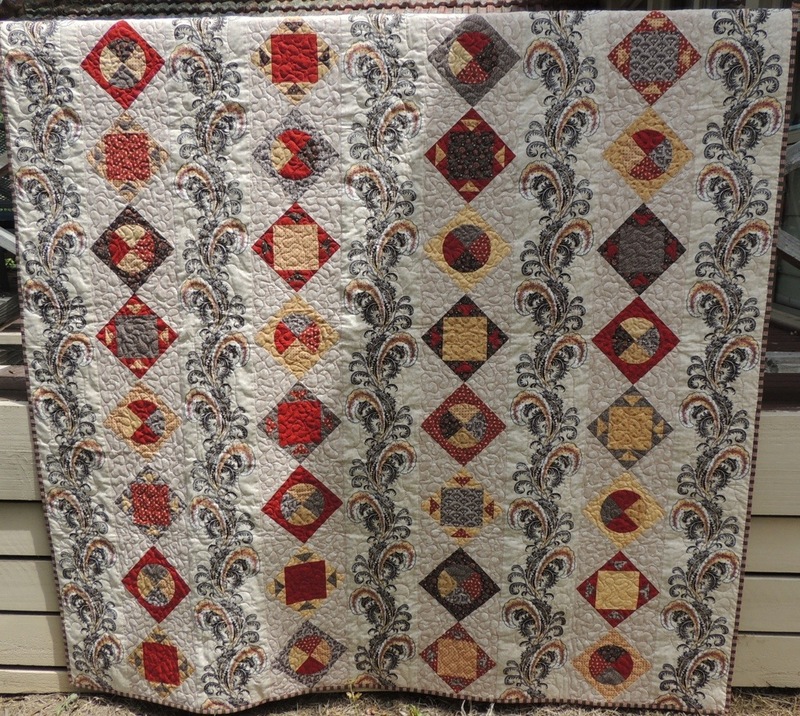 Initially I made it in French General (yet to be hand quilted as this date), but it was so quick and easy, I wanted to make another. with strips of vibrant, too hard to cut into(!) fabric between. Brompton Road – my own design. Loved the feathered feature fabric. 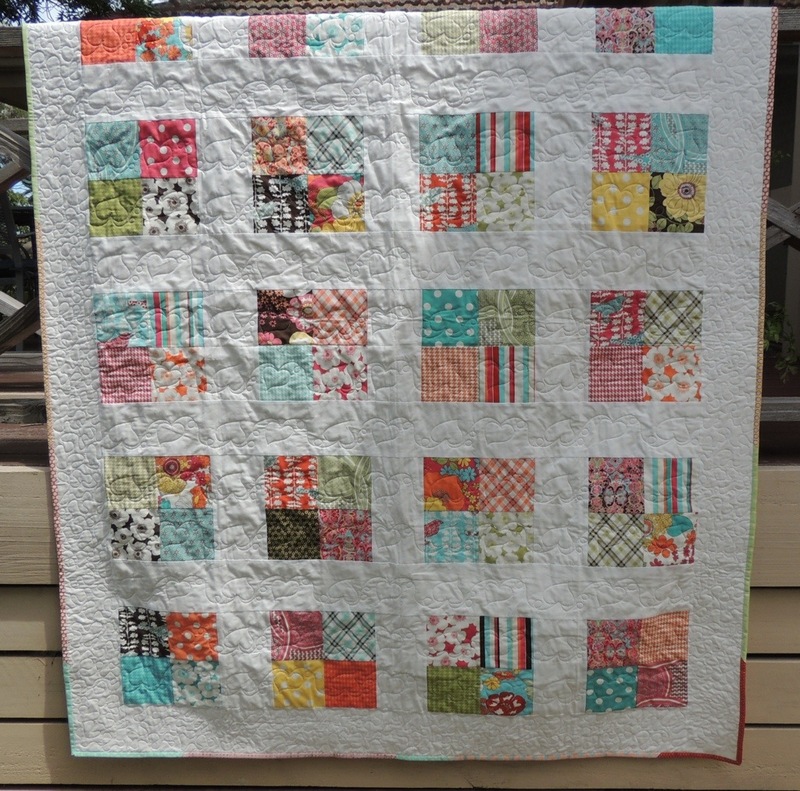 Quilted by Louise at Caribou Quilts. St Tropez – an experiment with the Victorian Textiles 60 degree wedge. 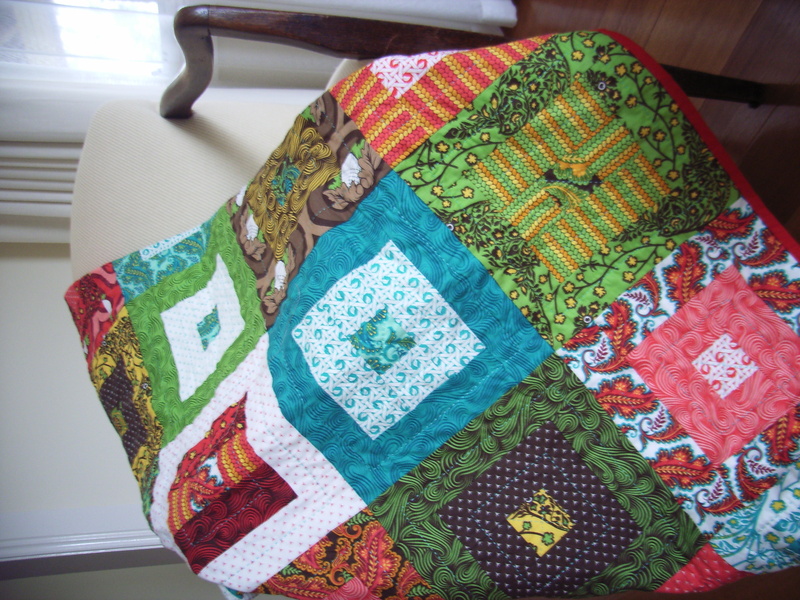 My own design and made many years ago, just needed quilting and binding! 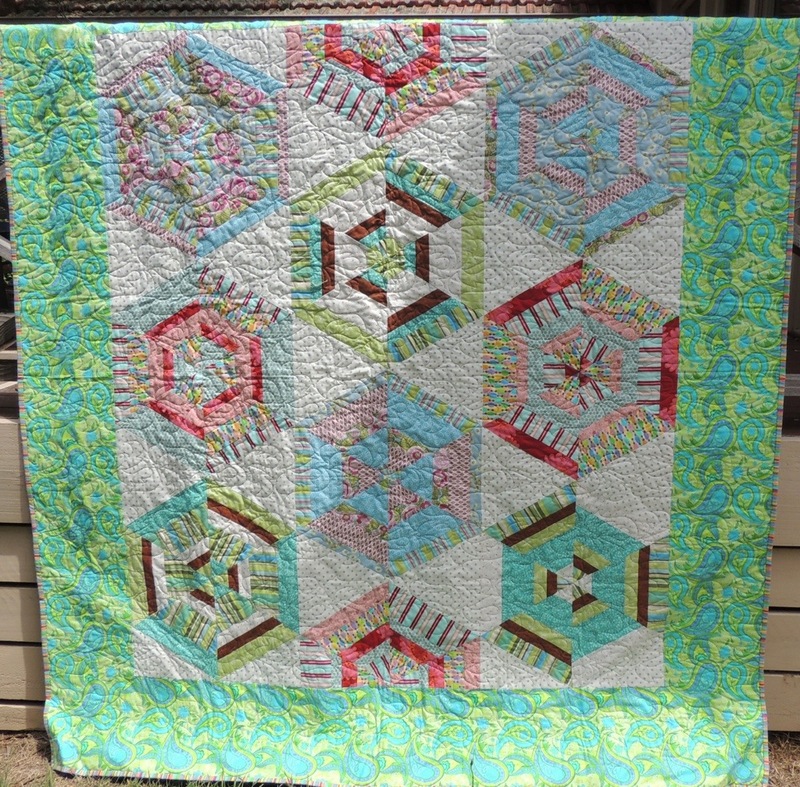 Quilted by Louise at Caribou Quilts. Haven’t named this one, but made from a charm pack. 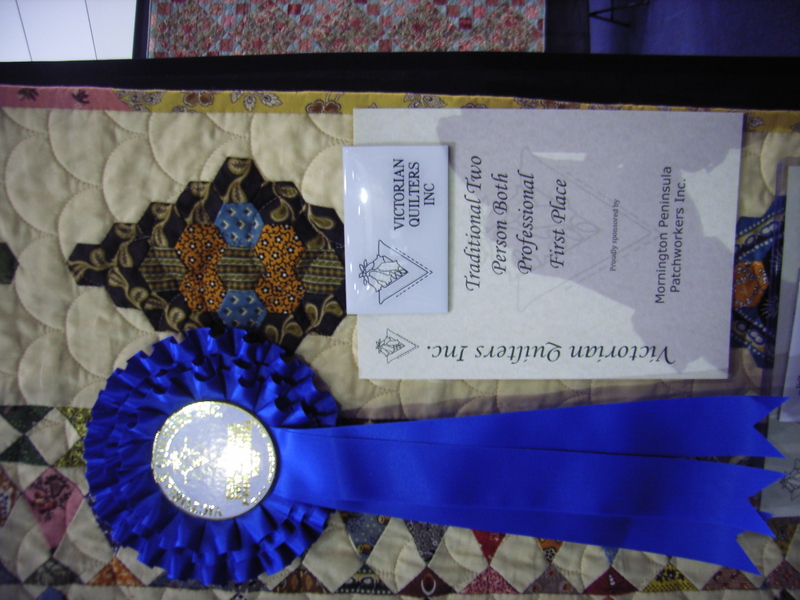 Again quilted by Louise at Caribou Quilts. “GOOORGEUS”!!!!! 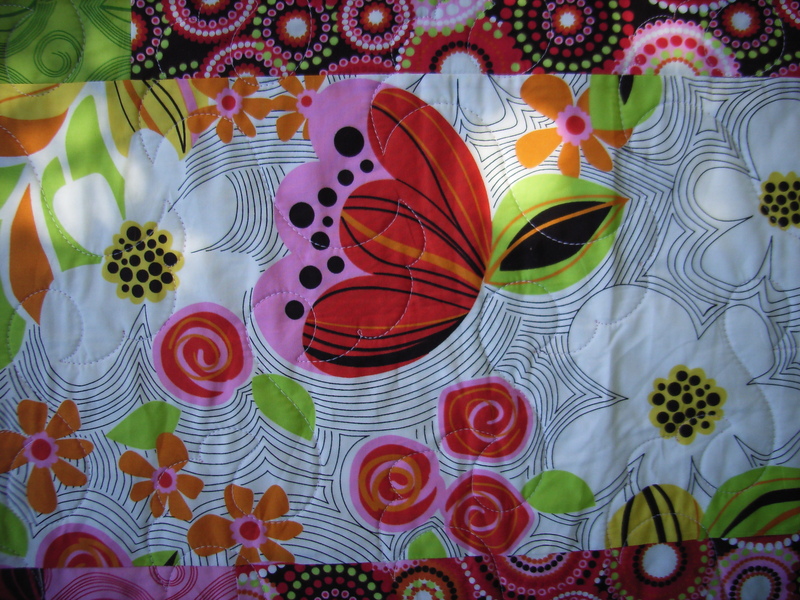 I just luuuuv your bright fabrics!!!! Not a bad little collection of 2012 finishes!!!! 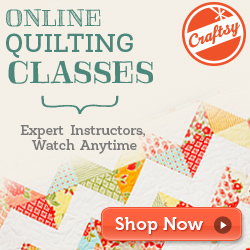 Love the quilts, especially hand finished ones and your use of colour. 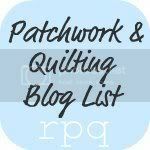 Thanks very much for visiting my blog and for the follow 🙂 Your quilts are amazing, I can see why you won a prize for that top one, it looks so complicated! 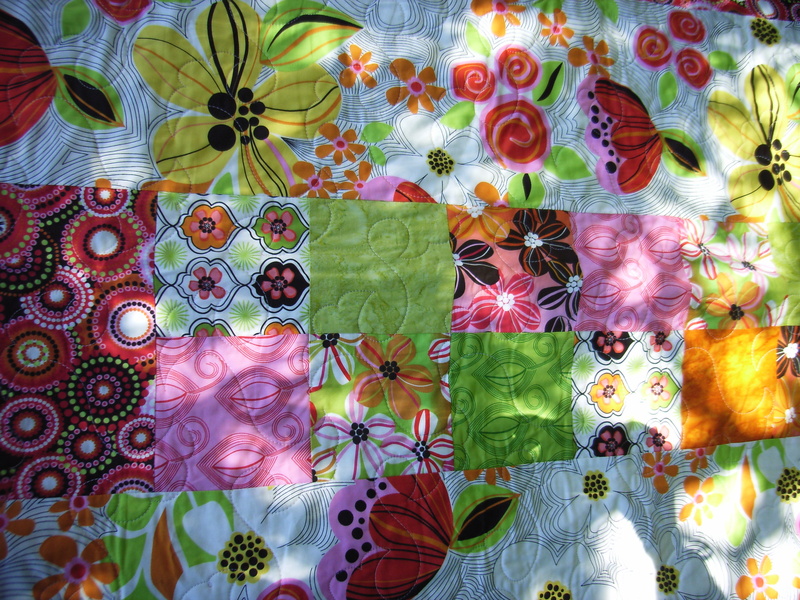 Love that last one Meredithe, such an easy looking pattern, but the fabrics and machine quilting make it stunning. Love the leaf squirly pattern.